When you’re trying to select or buy school furniture for your classrooms in, there are a lot of points one must take into consideration. This guide will walk you through the important factors to ensure that your students can obtain their education in the comfort they deserve, while also ensuring that the classroom space looks stylish and suave. The school desks, classroom benches, or café chairs you have chosen should be sturdy enough to survive the wear children might put them through. They should also be attractive and fun to look at, to facilitate interest in the classroom and should be flexible to ensure that the furniture can handle various kinds of loads without deformation. The age of your students is also a factor that should decide furniture design, as well as the issue of how the room is going to be used. Depending on the size of the room, the quantity will differ – Calculate the exact number of students before purchasing the requisite furniture. However, it is preferred to have a few extra handy since numbers usually get added on later. Depending on your requirements, you can opt for various designs which can be used in your institution. The most important point here is comfort, stability and long term durability. Only in a comfortable environment can a student learn. 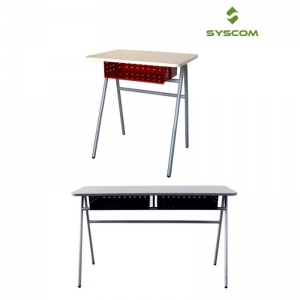 Apart from just desks, benches and chairs, furniture for your school’s/college’s office or staff rooms will also need to be bought. Create the kind of atmosphere that will inspire your students to think and learn in innovative ways, as they learn the skill of lateral thinking in a worthy environment. The type of location where a class occurs can either inspire or detract the individual’s interest. 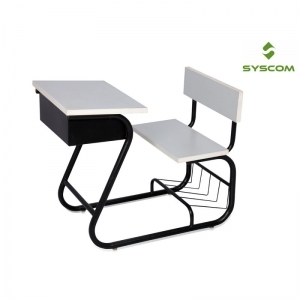 Syscom Seatings is a one stop solution who make a wide range of institutional furniture for your school or college – check them out today, and give your students the learning and educational classroom experience they deserve. The products are modular, sturdy, long lasting and few designs carry a patent. What are you still reading this for? Go and spruce up your classroom now! 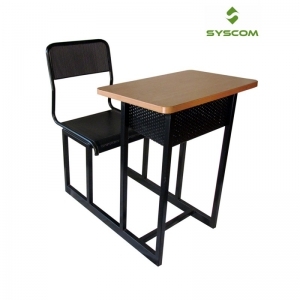 At Syscom Seatings, a wide range of institutional and office furniture is available for sale which includes furniture for laboratories, library, waiting areas, smart classrooms, AV rooms etc. 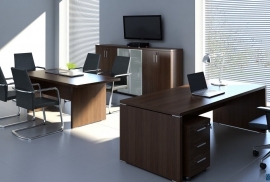 The products comprise of chairs, desks, storage solutions, book racks, filing cabinets etc. You can place bulk/individual orders, and depending on your needs, you can even get your products customized. Take a look through our website and fill your furniture needs today!